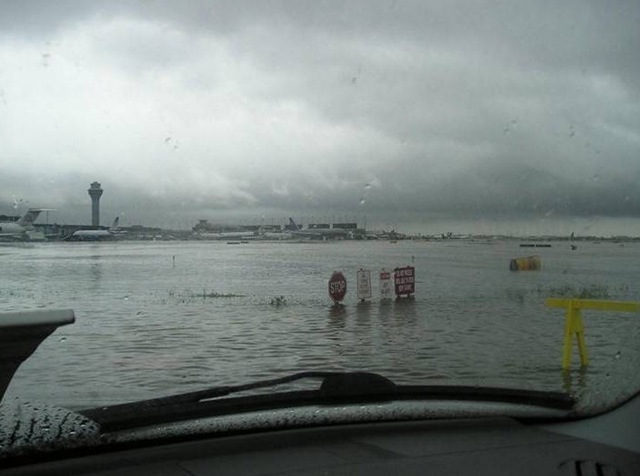 There used to be an area south of the control tower at O’Hare International Airport that acted as a catch basin of sorts when the rains came. 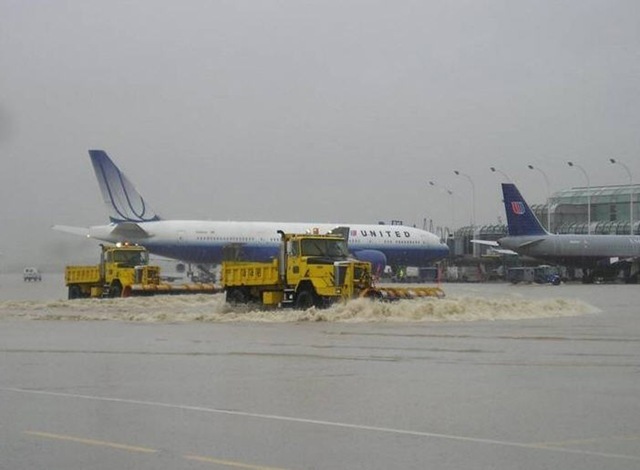 They used to call it Lake O’Hare as a matter of fact. Weekend before last, the same weekend that Hurricane Ike blasted through south Texas, a few billion gallons of water fell from the sky around Chicago. 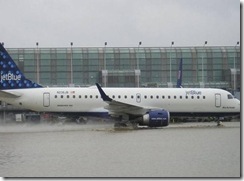 More rain than I have ever seen in my life at one time … no kidding. Up near the Northwestern University campus just north of Chicago, we had nearly 8 inches of rain in about a 7 hour period. That’s flood stage for us. 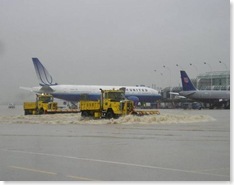 You just never see Chicagoans using row boats to get around the streets, at least until this storm. 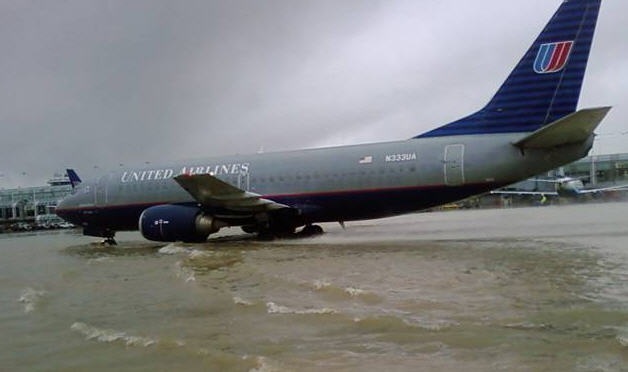 Rather than drag the conversation down with tales about how much water I found in my basement, I thought you might all enjoy seeing some photos sent in by a Jetwhine reader that showed just how bad things became on Saturday morning the 13th of September. 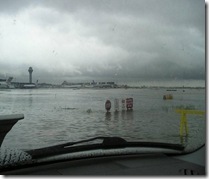 Although ORD never officially closed, the entrances to the airport for both cars and trains did indeed shut down because of the rising tides. Where in the world controllers at ORD put the airplanes I have no idea. 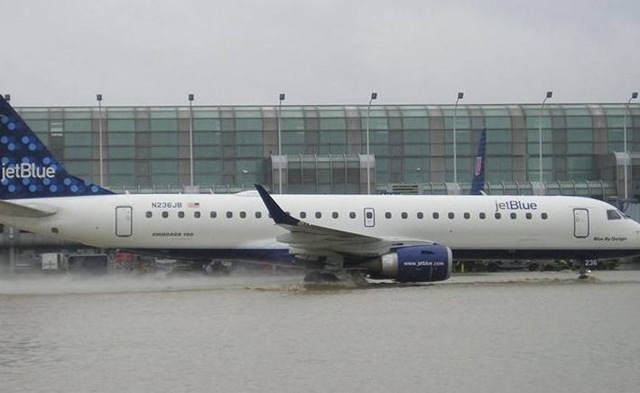 As you scroll through the photos, take a look at how high the water really is, almost covering the entire gear – tires and all – of the aircraft. But this is about Chicago after all. So take a look at the last shot and tell me what the heck those City of Chicago snow plows are trying to do. This entry was posted on Thursday, September 25th, 2008 at 8:19 pm	and is filed under The Buzz. You can follow any responses to this entry through the RSS 2.0 feed. Both comments and pings are currently closed. The photos make me think of a trip I took a couple of years ago to India . . . in June, that is, during the monsoon. 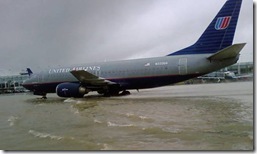 LOL… Good humor, Sky Pilot. Those show plow trucks are probably directing water to the drainage system. Either drainage culverts (manholes), drainage ditches, or water retention pond areas. Sometimes you just have to help nature along a little bit.